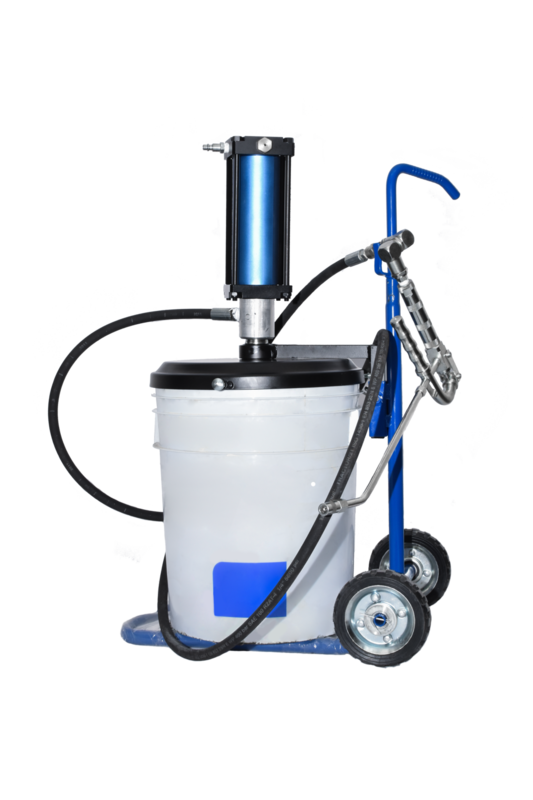 All Tamto lubrication systems are easy to use and easy maintenance grease injection pumps. Ideal for applications in the automotive, agricultural, construction and any other industry that occupies a powerful and efficient lubrication system. All of these use grease containers as cartridges. This way you won’t have to transfer grease to other containers and your processes will be mess free. Placing the container under the mechanism, will suffice for it to be armed and ready to operate. These lubricators have the advantage of being designed for easy transportation that allows you to supply all the lubrication points..
*NOTE: In some versions the cart is sold separately. Acquire our lubrication systems online.